Edookayshun, also known in current parlance as “education”. Where and how does this fit in, you ask. Let me explain. It’s very simple. Educated people question before they vote. They want to know what we/I have to deliver, have I made these promises before and have I delivered on these said promises in the past? (Answer: of course not. Not in a million years). Once they reach their own conclusions, they then vote on the basis of these silly, but correct conclusions. The uneducated don’t. They do what we/I tell them to do. They are easily intimidated and easily fooled. 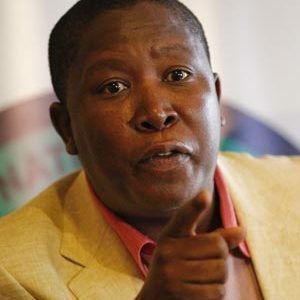 (See Julius Malema). We promise them service delivery (see previous post), we promise them education, as it were, we promise them jobs and we promise them change. You must use this finger…Huh? …No, your own and you must vote for us. We can bring the same change year after year. Huh? Hey, Bra van my, I know how much change the buses use! And the uneducated, they don’t think and recognise their poor uneducated position. They see the promises. They hold onto the promises and they vote for me, never thinking about four years back when they were spun the same rehashed crap. Now son, let us say that in between elections we do in fact educate these people, my voting populace. We provide schools, we provide text books and toilet facilities with roofs, what do you think will happen? They begin to think. They think about their places in society, about promises never kept, they start thinking for themselves. And eventually, I have the hordes at my gates, wanting a slice of the pie, my pie (as it were). So, there it is…education gives rise to problems. Namely for me. In other words – a vote for education, is a vote against me. This entry was posted on Monday, May 28th, 2012 at 06:02 and is filed under Uncategorized. You can follow any responses to this entry through the RSS 2.0 feed. You can leave a response, or trackback from your own site.